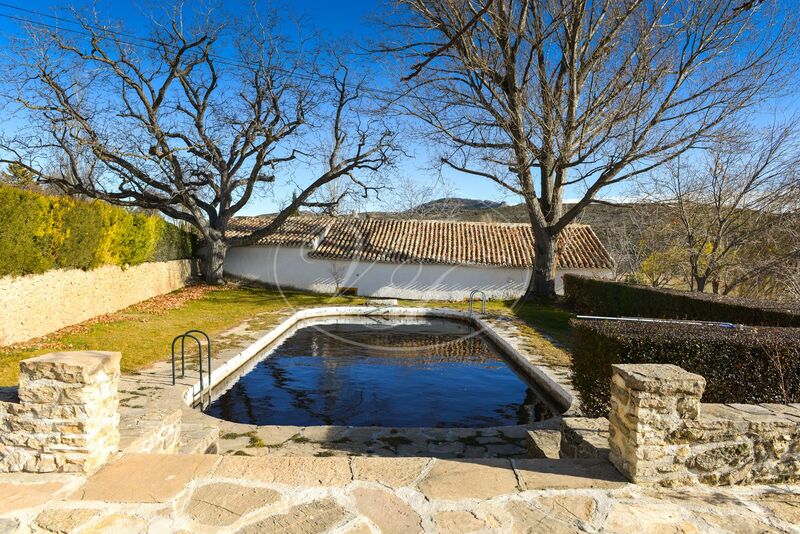 Exclusive shooting estate with a stunningly reformed Cortijo. 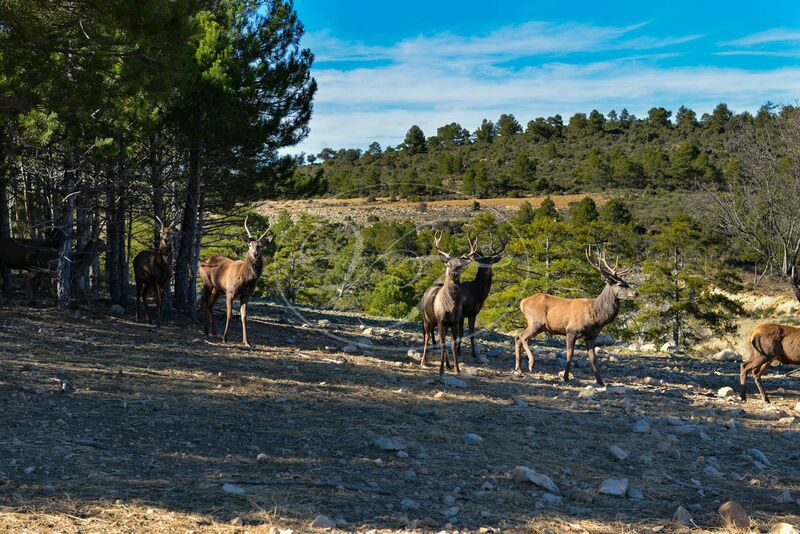 The 1600 ha estate is one of a kind in Spain with 6 different species: Spanish Ibex, Red Deer, Fallow Deer, Mouflon, Barbary Sheep and Wild Boar and full big game and small game hunting permits. 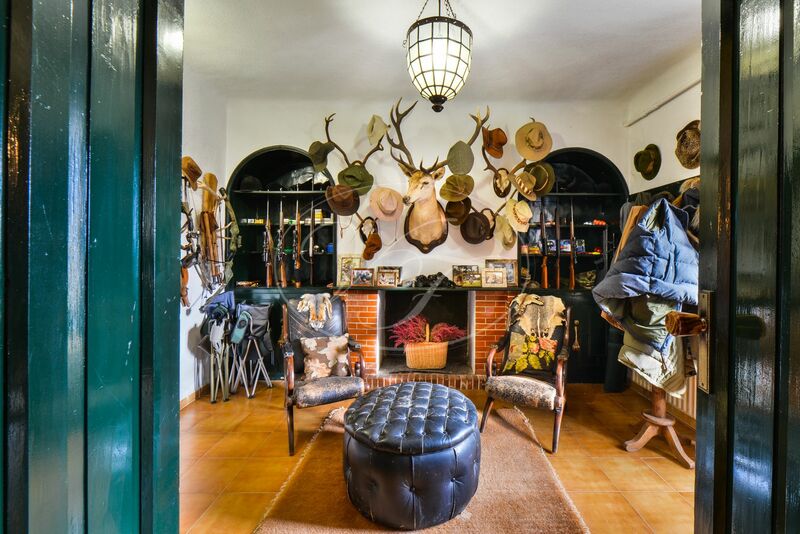 Not only the hunting facilities make this shooting estate so special. 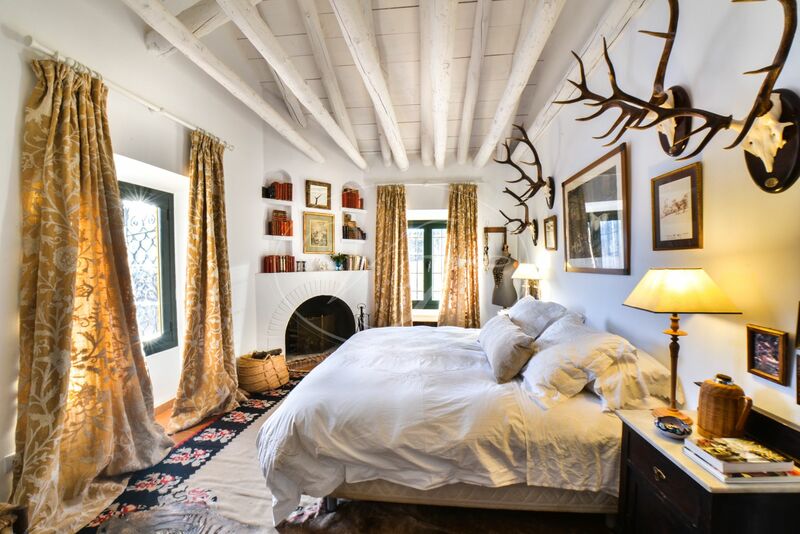 The over 100-year-old, completely restored Cortijo, with many original details, provides comfortable accommodation for the owner and his friends when spending time on the finca. 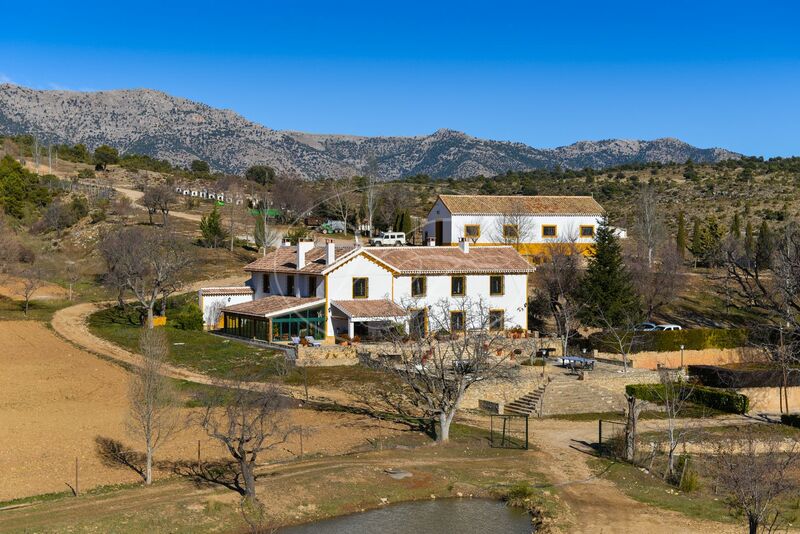 Apart from the nine-bedroom main house (890 m2), it has a spacious four-bed caretakers house (334 m2), a Cortijo for the hunters with three-bedrooms (190m2), stables, chicken shed and storage (231m2) and a large barn (259m2). Adding dog kennels, some more outbuildings and the pool it adds up to approximately 2000m2 build size. The old maps mention another 5 cortijos, some could be reformed to provide extra accommodation. 150 ha of pasture land. The shooting estate is conveniently located at only a 5-minute drive from the nearest village. A 5 km., well maintained, track leads to the entrance of the shooting estate. 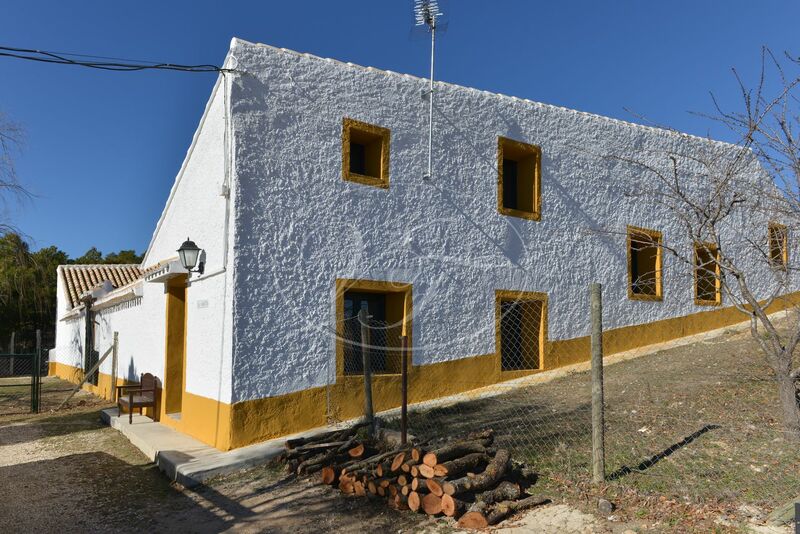 The entrance gate opens up to a drive, The lower part gives access to the caretaker’s house and the upper part to the main Cortijo with ample parking. Privacy for the main Cortijo is guaranteed. 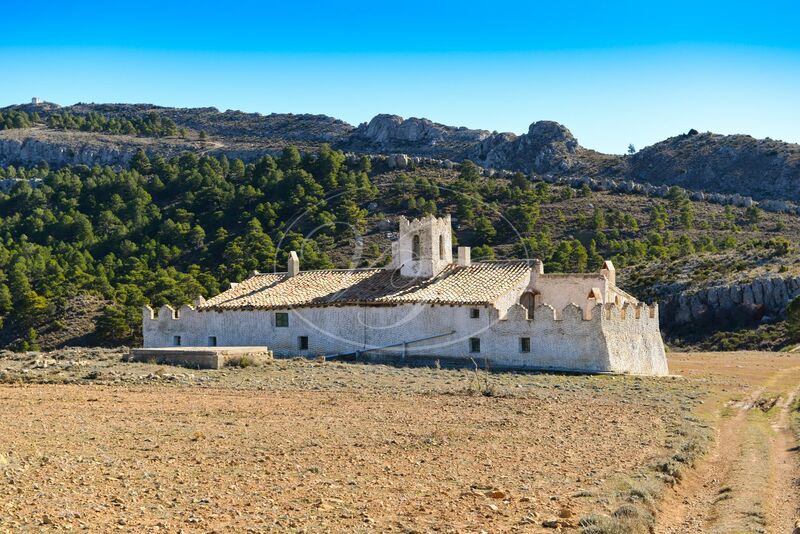 A large, partly covered terrace in front of the Cortijo has spectacular views over the almond grove and a fenced off part of the mountain used for breeding. Next to the terrace is the pool. Sitting on the terrace, enjoying a glass of wine under the walnut trees, you will see the deer passing by, drinking and feeding. 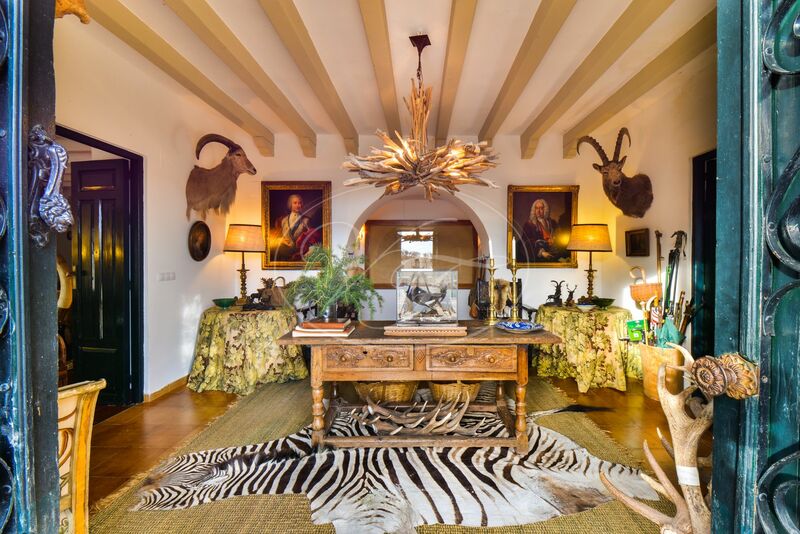 The Cortijo is entered through a reception room, with integrated arms room. 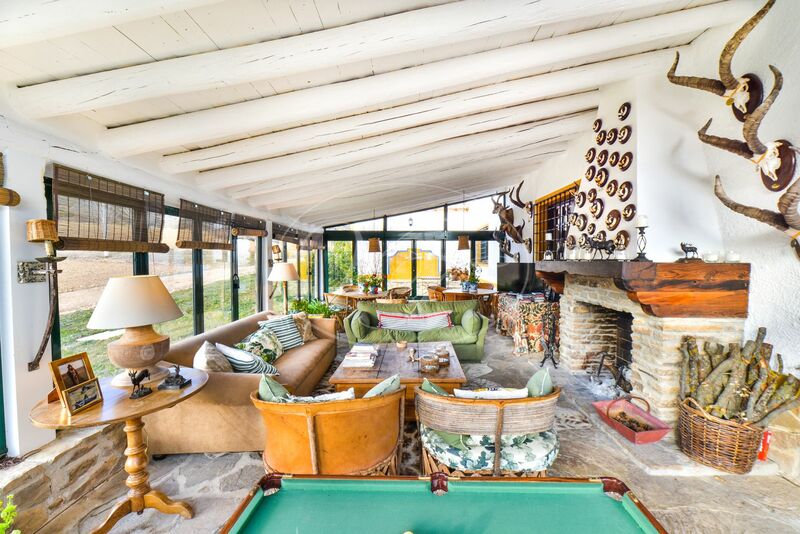 The left wing of the Cortijo has a large salon, which is connected to an equally large winter garden with sitting area and dining area. Both salons have an open fireplace. A corridor gives access to the kitchen on the hand and gives way to the patio on the other hand, where two bedrooms with bathrooms en-suite are located. Next to the kitchen is a small stairway leading to the utility area, hunters kitchen, bodega. 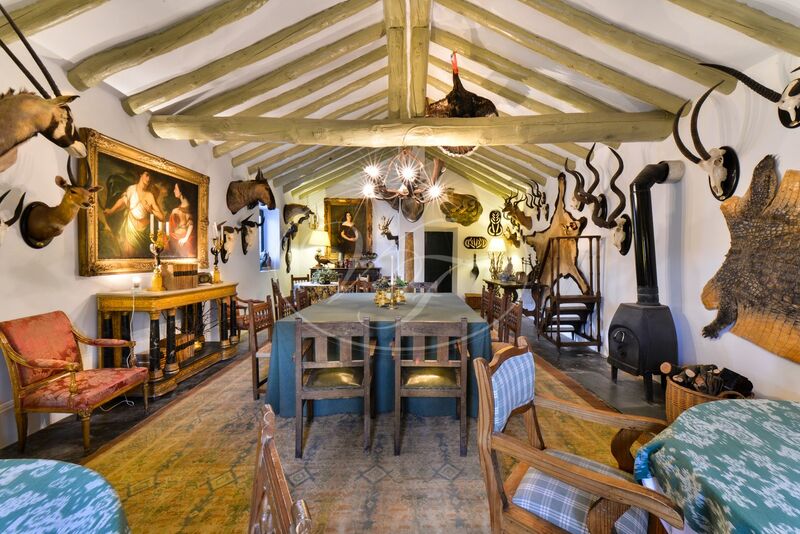 Here is where you access the ‘trophy room’, the large dining room, where the hunters gather after a day on the finca, to celebrate with a good meal and good glass of wine. The right wing has an office, guest toilet and bathroom. 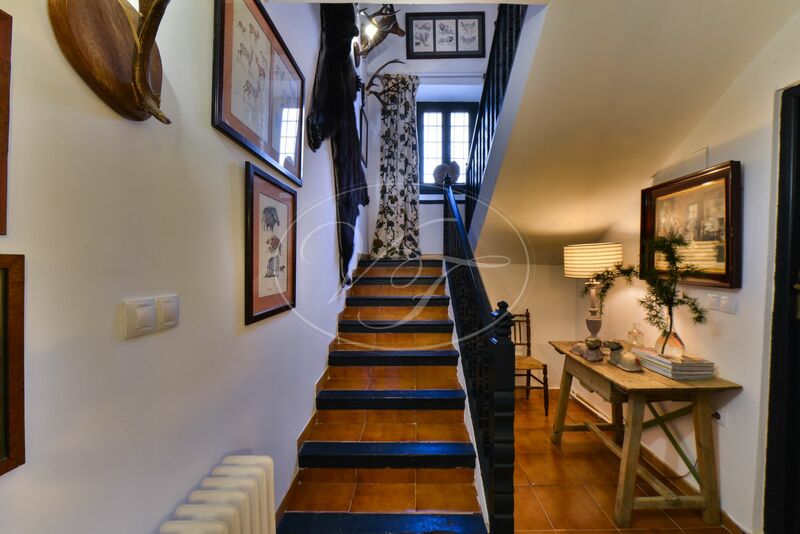 A stairway leads to the first floor with seven bedrooms, six with bathrooms en-suite and a guest toilet. The bedrooms and the trophy-room show the original wooden beam structure. 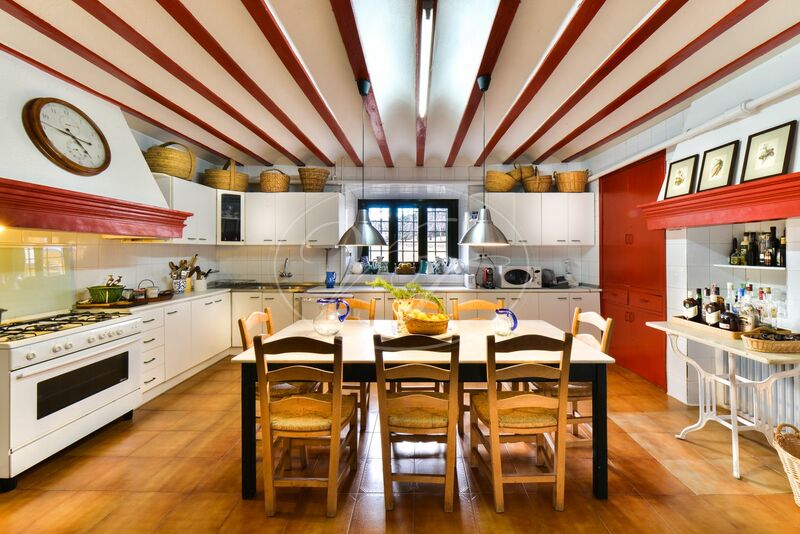 An impressive structure that has been preserved and which gives the house an authentic charm. In the back house, some of the old floors have been preserved as well. 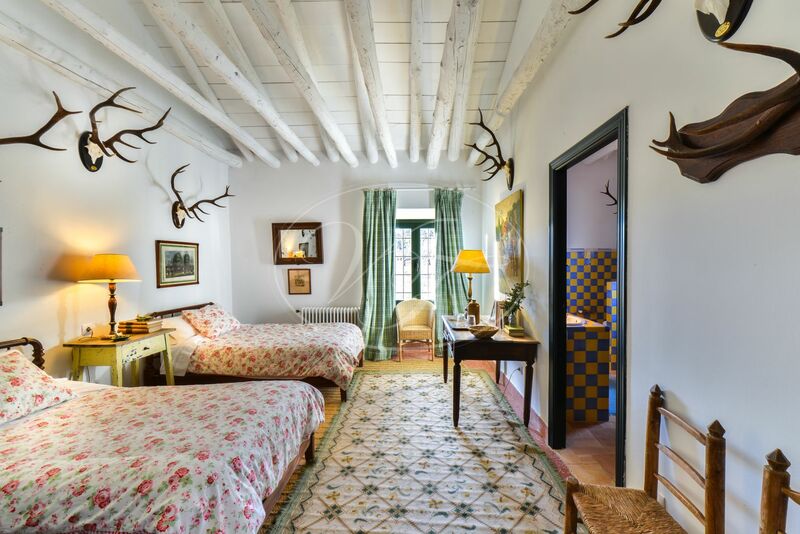 The whole Cortijo oozes charm and authenticity, using old materials and country style design throughout. Yet, the house is adapted to today’s standards of comfort. It has central heating (on biomass), double glazing and it has been re-roofed recently. The house is completely self-sufficient with well water, solar energy (with back up generator) and connected to telephone and WIFI. 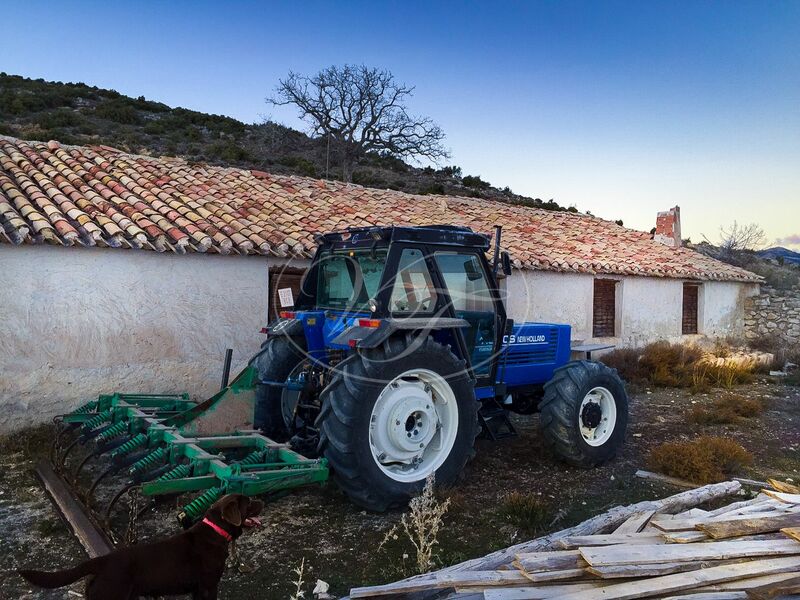 Following the entrance drive further up the hill you pass the 259m2 barn where the machinery is stored to maintain the finca. 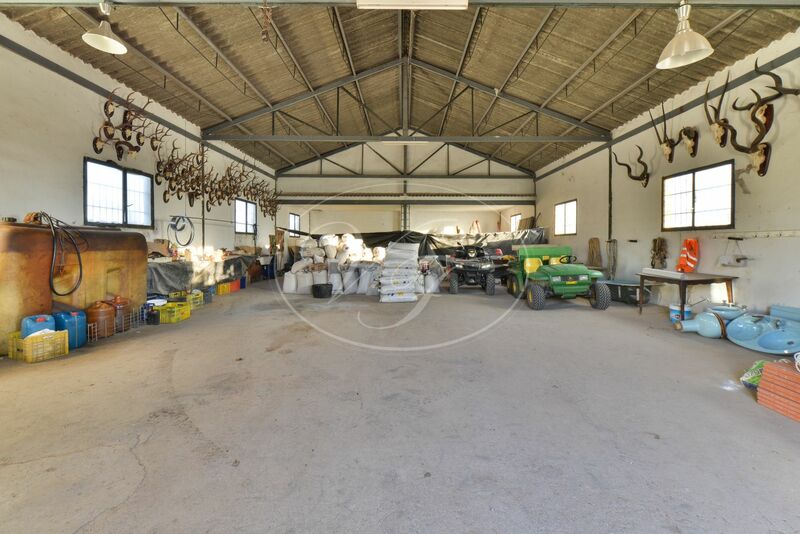 The barn is also used to serve meals and drinks for larger hunting parties. Further up the hill, you will find the dog kennels for approximately 60 dogs, although dogs are currently not used for hunting. 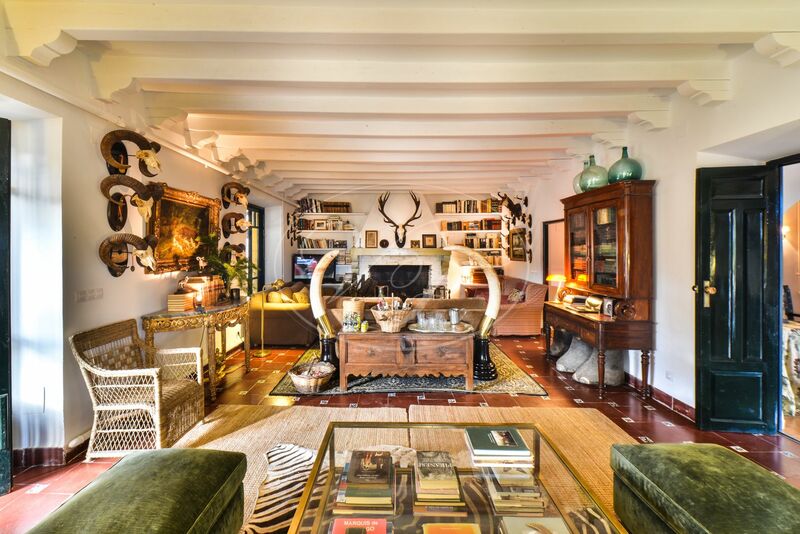 At approximately 300 m from the main house, up the hill, you will find the hunters Cortijo. It consists of a basic four bedroom, one bathroom house, a courtyard with a chicken shed, stable with 4 boxes and large storage area. 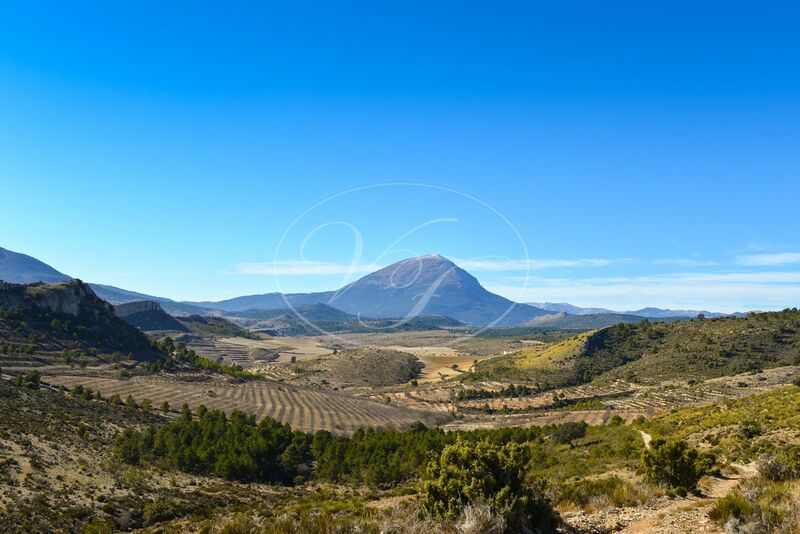 The estate, or the finca as the Spanish say, is located in the mountains at a height of in between 1200m and 1500m above sea level and is of stunning beauty! 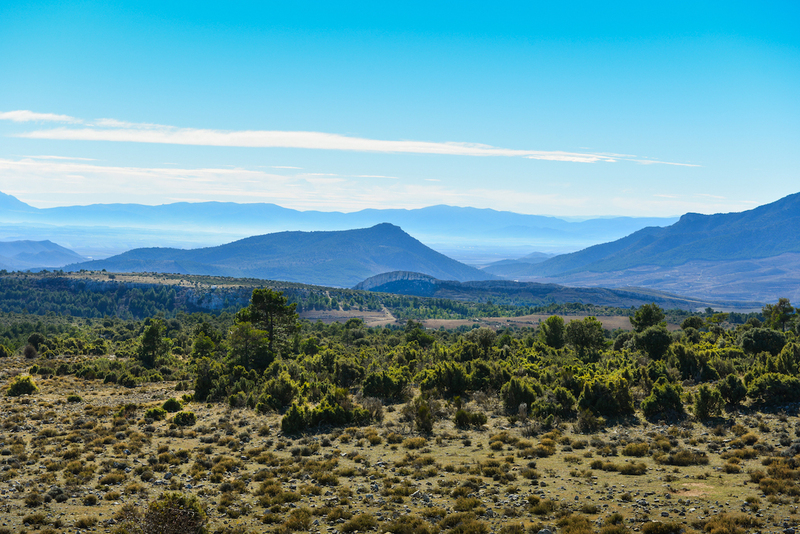 The panoramic views over the mountains, towards the Sierra Nevada and towards the peak ‘La Sagra’ are breathtaking. 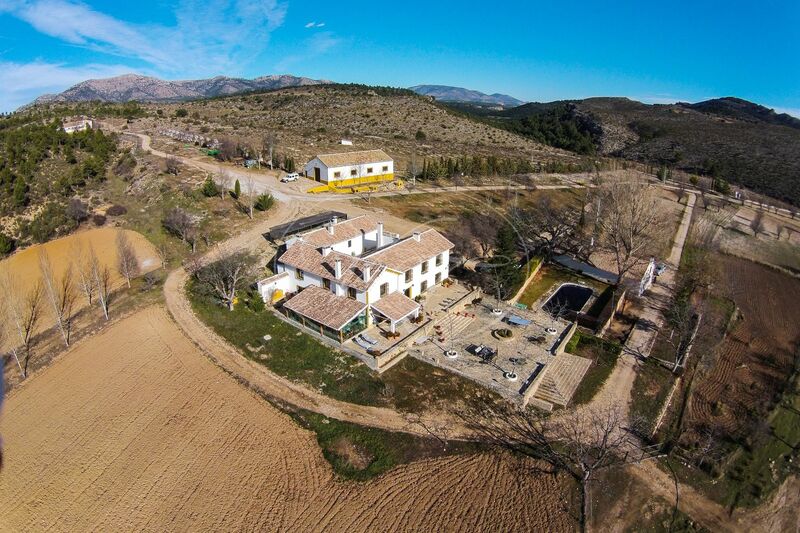 You can wander over this finca for hours, in complete tranquillity and peace, enjoying this stunning countryside. 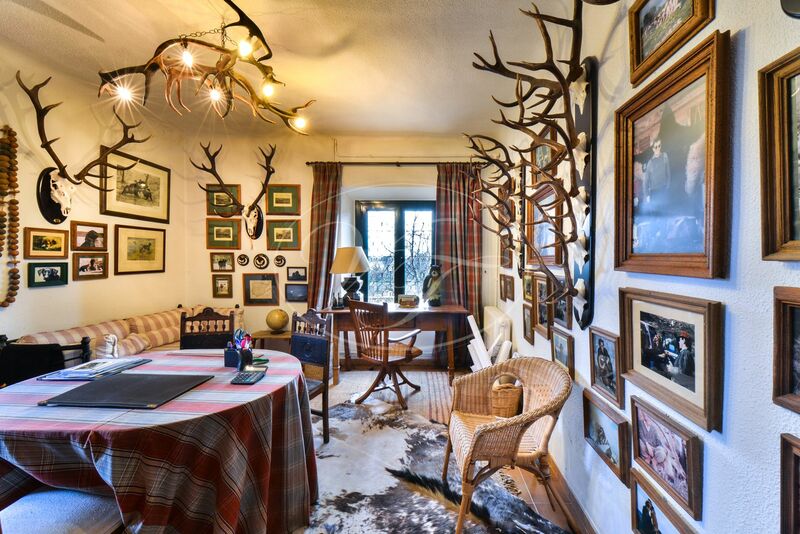 The land is very accessible on foot, therefore the shooting estate is very suitable for ‘stalking’. 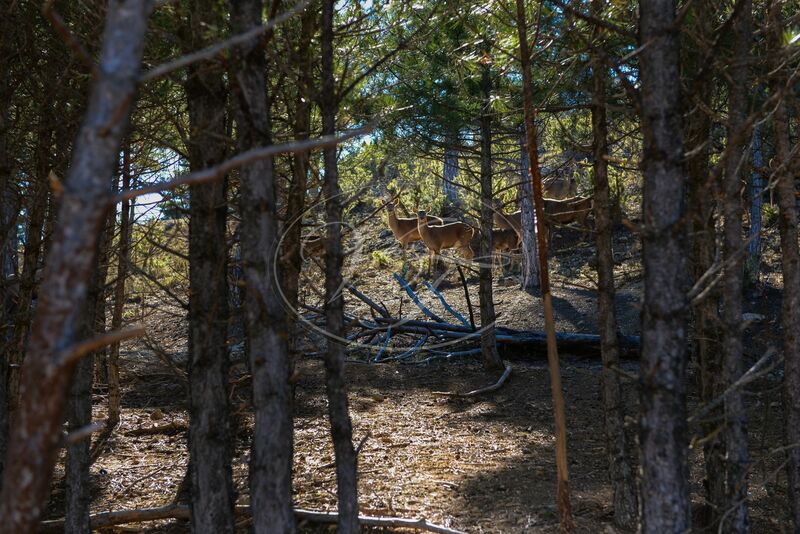 It is fenced along its 50 km perimeter. A track runs alongside the fence to maintain and secure it all year round. Inside the finca, you will find another 70km of tracks that are all in good condition. The estate has a wide variety of vegetation. 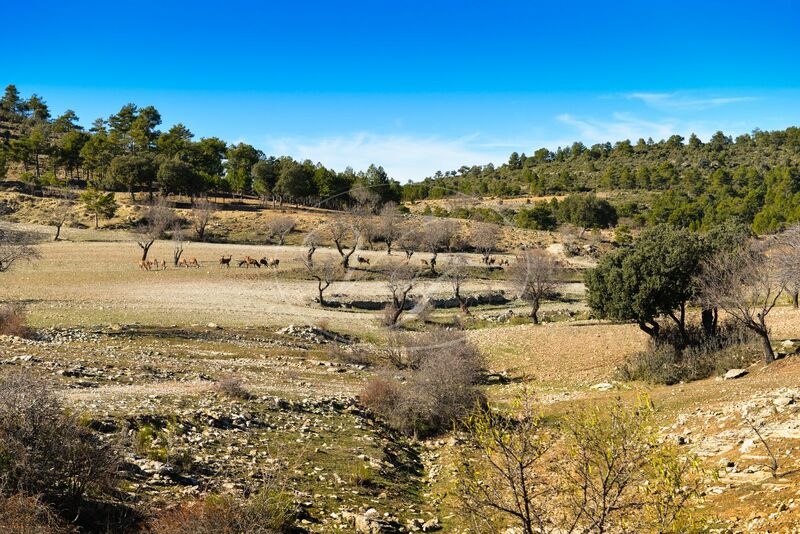 You will find oak and pine forest, grazing fields (297 ha), perfectly maintained, ploughed and seeded each year to provide sufficient food for the population of animals. Over 50 species of aromatic plants were identified on the land. 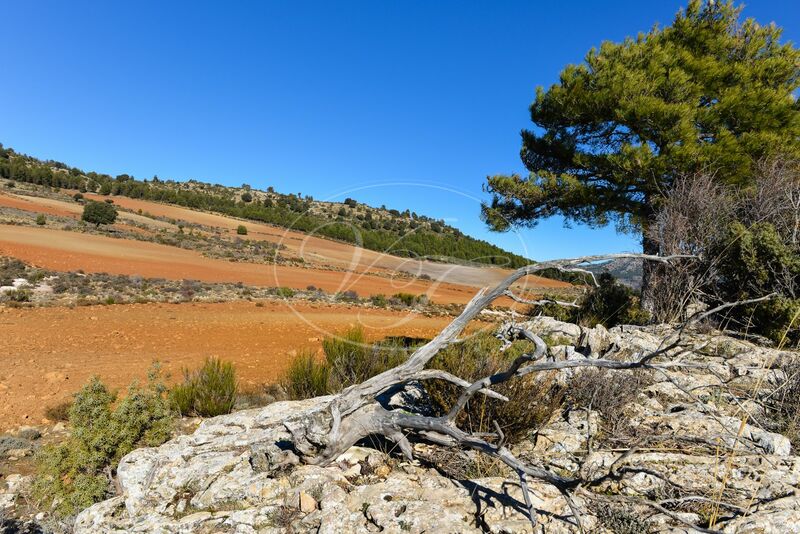 Four hectares are classified as irrigated land and could be fed by a large lake that is in place but not in use. 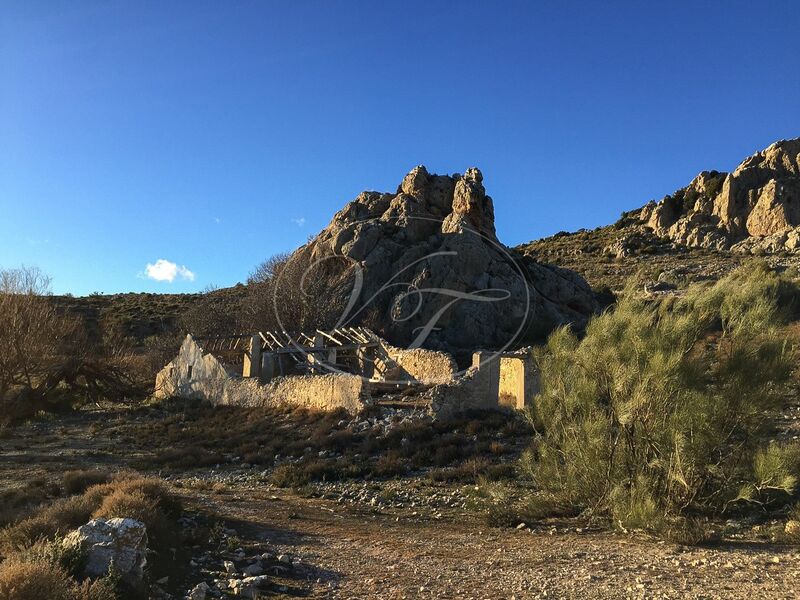 The finca has 1 borehole, 12 wells with 12 ponds, 4 guardhouses, 2 capture areas. For the wild boar population, two areas have been fenced off, one measures 120 hectares, the other, 200 hectares. 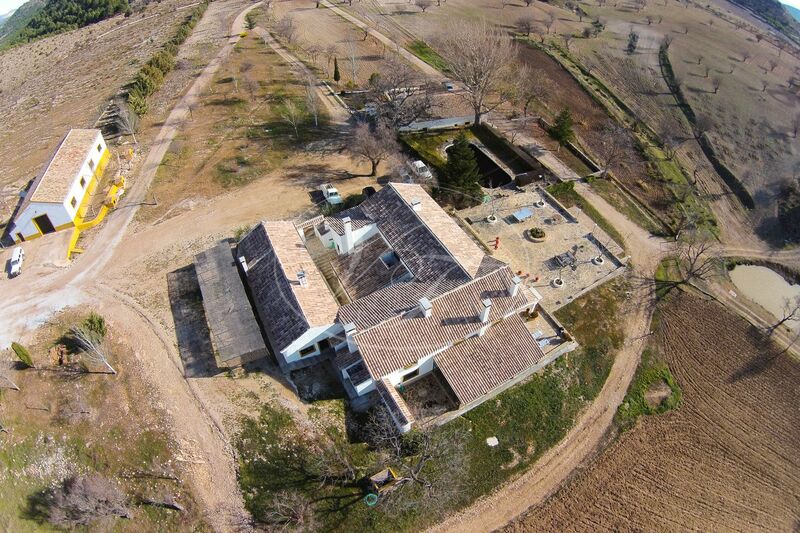 At present, the finca is in use as a shooting estate. 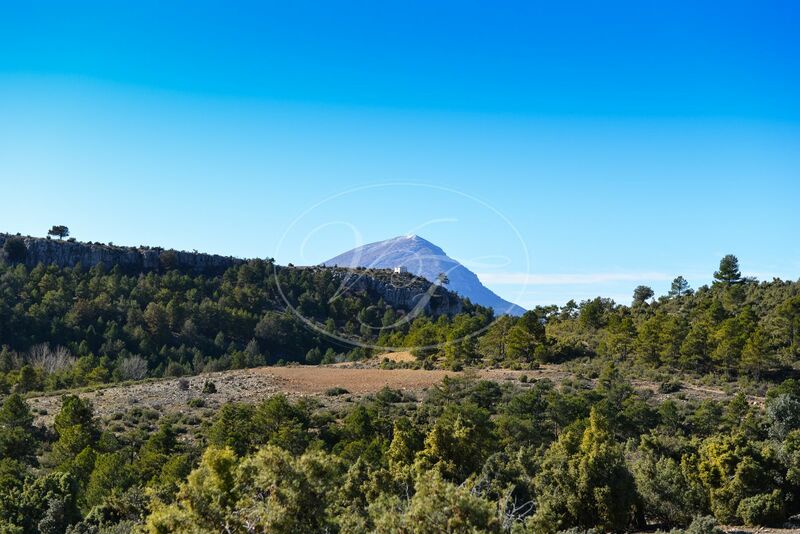 It has a large population of red deer, fallow deer, Spanish Ibex (which is exceptional to find on a private finca! ), Mouflon, Barbary Sheep, Wild Boar and foxes. For small game hunting, you will see rabbits, hare, red partridge, quail, various types of pigeons, etc. 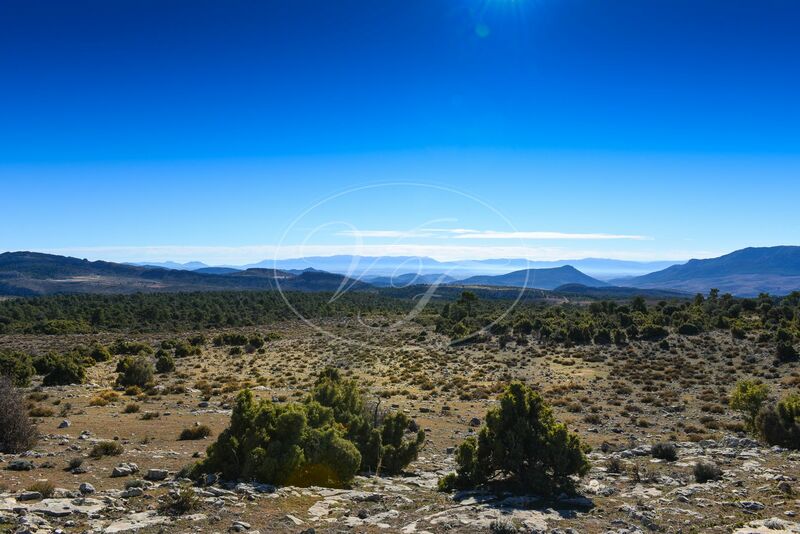 The finca is very privately located, Split into two parts by a dirt track. At only a 5 minute drive from the closest village for your daily shopping and a 15-minute drive to a larger village which provides all services. The city of Granada and its airport is at a 1,5-hour drive, so is the Sierra Nevada. The international airport of Málaga is at 2,5 hours drive. Murcia is at 1-hour drive and will soon have the AVE connection to Madrid. 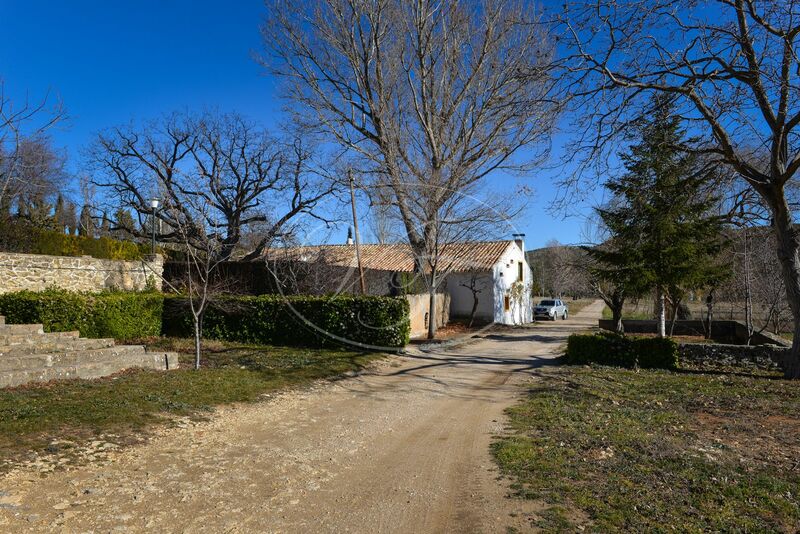 Please, send more information about ref 186-00567P, Estate in Granada or similar properties.